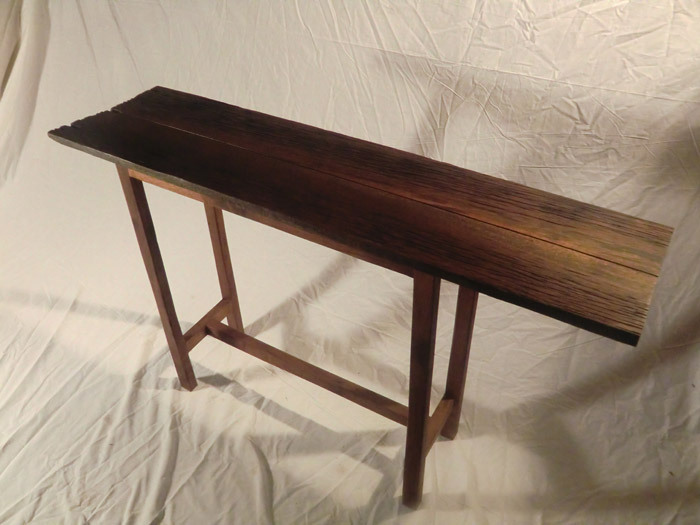 This simple, sleek side table is made from old barnwood walnut, a rarity. 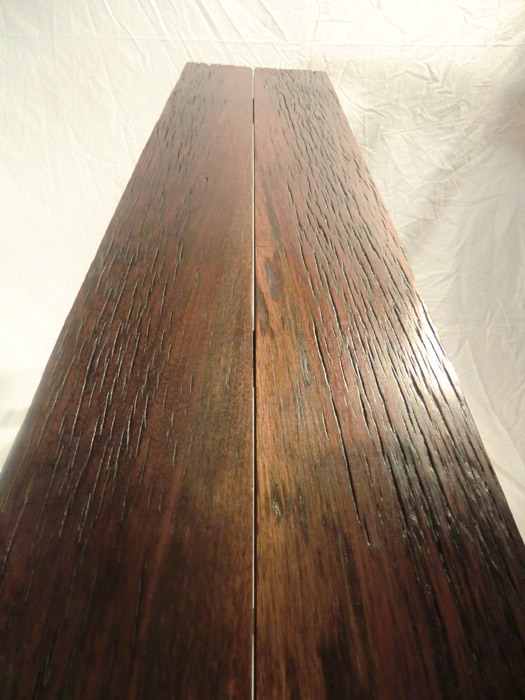 The deep furrows in the table top boards are a result of over a century of weathering on a south-facing exterior wall of a Kentucky barn. Only a small amount of the siding was in good enough shape to use for furniture, and the two boards used in this table top are among that lucky lot. We had two aims with these boards - retain the deep furrows and at the same time make a refined and modern piece of furniture. With quite a bit of labor, we achieved this dual, and seemingly contradictory, purpose. 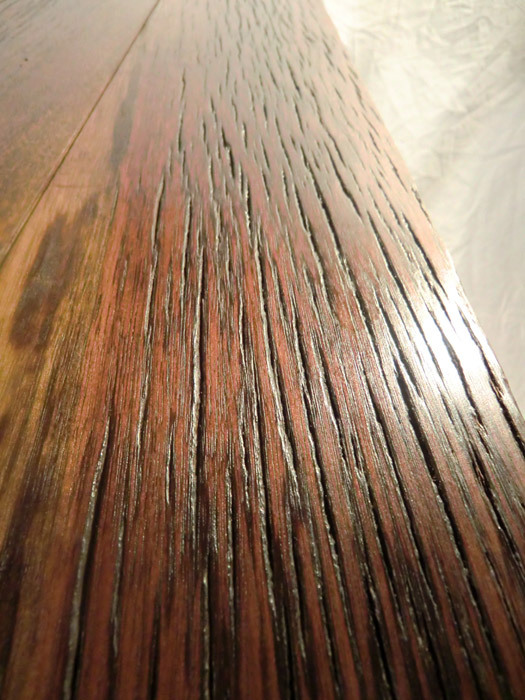 The weathered ends of the boards were retained on one end of a table top in what we view as play on the oft used live edge; only in this instance the "live edge" was created by natural elements imposed on the tree, such as sun and precipitation, rather than the natural curve of the tree trunk. A small gap was left between the table top boards to accentuate the symmetry of the grain and the furrows. The elegant base of this side table is purposefully understated to display the old walnut barnwood that it supports.